Nearly 10 per cent of British men have admitted using make-up once in a while. One in ten men in UK had turned to hair removal cream or wax, while seven per cent owned up using their partner’s hair straighteners. Buzz up!Six per cent of blokes confessed using nail varnish, while five per cent used eyeliner or mascara. It’s common knowledge that women enjoy pampering themselves at home and making the effort to look good using an array of beauty gadgets, lotions and potions. But, little did we know that men also secretly want to jump on the beauty bandwagon. Though they do not know how to use each one of the beauty products, most of them end up making a mess. Men often use their partners cosmetics to pamper themselves. Though they do not know how to use each one of the beauty products, most of them end up making a mess. So watch out ladies, keep those prized beauty must-haves under lock and key! that men borrow are tweezers, moisturizer, hair dryer, nail filer, hair styling products, lip gloss, face mask or facial scrub, shaver, concealer, and hair removal cream or wax. A natural skin care expert has highlighted Weleda as a truly organic brand, noting that some of its rivals are not as green as they claim to be. Just because a company purports to be green and eco-friendly, it does not necessarily mean their products are free from “bad” ingredients which can potentially be toxic, a columnist for the And My Kitchen Sink blog pointed out. 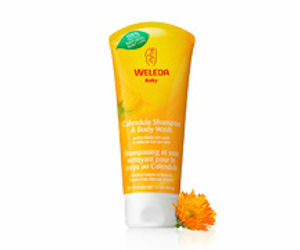 Consequently, she highlighted Weleda’s natural skin care range as being among her favourite moisturising products which are kind to the skin and free from chemicals. She had particular praise for Skin Food, which she said is perfect for treating dry feet. “It sinks in fast, makes your feet baby soft and it has a really soft, refreshing smell,” she added. Earlier this week, the New Zealand Herald’s life and style correspondent Janetta Mackay said that Weleda’s Birch Body Scrub and Cellulite Oil are both great for clearing up imperfections on the skin. WINTER brings its own set of skin challenges. Although you might associate breakouts with summer months when your skin produces sweat and excess oil, acne can be just as troublesome in the winter. The active ingredient in your acne treatment is the reason it works. All acne medications have a tendency to cause dryness because they target oil on the skin. While this may not be an issue during the summer months when skin is often oily, winter is a different story. Cold, windy weather coupled with indoor forced-air heating systems cause disruption of the skin’s outer barrier, frequently leading to sensitive skin. For example, Proactiv, a trusted leader in acne treatment for 15 years, uses benzoyl peroxide to treat and prevent acne. And, now, New Proactiv is enhanced with exclusive micro-crystal benzoyl peroxide designed to absorb more quickly into pores to target acne-causing bacteria. Elnett delivers an ultra-fine mist of product that provides exceptional hold while disappearing at the stroke of brush, meaning you get optimal hold without ever looking like you’ve got product in your hair. This is seriously the only product to control my little flyaway baby hairs (they’ve got a mind of their own) without giving my crunchy, unnatural looking hair. The micro-diffusion technology incorporated into the product allows for even application to set any and all styles, and humidity protection means it’ll really stand up to the elements. Bare Minerals, the makeup line that’s an infomercial staple in the U.S, will turn up on department store counters in Asia soon, after its parent company, Bare Escentuals (BARE) agreed to be bought by Japan’s leading makeup company, Shiseido (SSDOY). Use instant conditioner after every shampoo. It will lessen friction between hairs so you have fewer tangles. Apply a deep conditioner for about 15 minutes every couple of weeks (more often for coarse hair), then wrap your head in a damp microwave-warmed towel to help it sink in. “Frayed and frizzy strands are like totally open flowers, so you want a penetrating conditioner that really gets into the inner shaft to smooth it down,” says Russo. Once a month, treat hair to a strengthening and smoothing mask. Hair masks are specifically designed to help stop breakage and create additional shine.